Fire Department at 3170 West Ward Road. the seat and the crash history of the car to ensure safety. Calvert County Sheriff's Office. 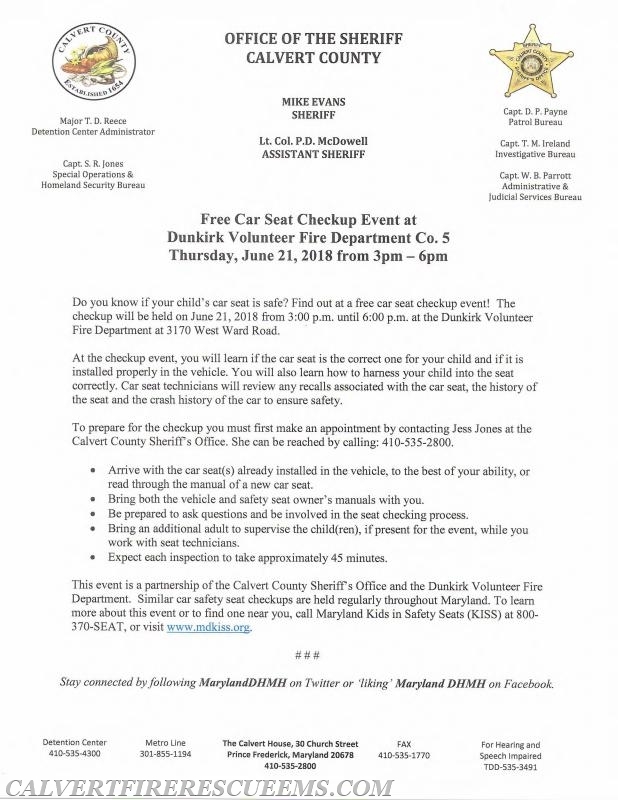 She can be reached by calling: 410-535-2800.
read through the manual of a new car seat. • Bring both the vehicle and safety seat owner's manuals with you. • Be prepared to ask questions and be involved in the seat checking process. • Expect each inspection to take approximately 45 minutes.